January 20th, 2016 by Roy W. Spencer, Ph. D.
The snowstorm expected to begin in earnest on Friday is still looking like one for the record books, especially in the DC area up through Philadelphia and New York City. The heavily-populated I-95 corridor from the Mid-Atlantic to New England will see the heaviest snowfalls, starting Friday and spreading northeastward on Saturday. Total forecast snowfall by midday Sunday, Jan. 24, 2016. New York City could see 16 to 20 inches, and nor’easter type conditions are expected for coastal areas from the Delmarva peninsula northward, with winds gusting over 50 mph. I live in the Baltimore Washington Corridor. The prediction has us getting 24+”. Should be an interesting weekend or one of the biggest busts ever. If we get the two feet predicted, any bets on when Federal Employees will be required to get back to work. I’ve seen as much as a 5 day closure of government offices for a 24″ snowstorm that hit on a Sunday. The DMV received 0.7″ from a clipper last night and the beltway is gridlocked this morning. That clipper also bought in a shot of reinforcing cold air. The drivers in this region function behind the wheel like stoned idiots; and that’s under ideal weather conditions. 12Z GFS shows somewhat less accumulation for NYC now…less than a foot. More for DC, though…as much as 30 inches. Is someone on high trying to send a message to DC about climate change? There is a bulls eye for peak snow on DC. How will it be interpreted considering the hyperventilating press releases about the warmest year on record this morning? Nor’easters are common in the Mid-Atlantic during El Nino years often alternating between heavy snow and heavy rain (except in 2010 when it was all snow). It will be interpreted as an extreme weather event caused by global warming. Isn’t everything? I’m little south of DC, Pax River NAS. I was expecting 65 wind gust by now, but so far nothing more than a few inches of snow, so far. I know that folks like to compare the current weather with the past and calling this storm potentially “historic” sort of exaggerates its significance as a “winter weather” event for lack of a better expression. As winters go, it seems to me, this one is pretty ordinary compared even to ones in memory when drought has loosened its grip on California. One big difference is today all the national broadcast news has featured the “alarming dangerous weather” as a major item in the program everyday with lots of video feed of flooding, floundering snow removal, high winds taken by cell phone video. Interesting read on similar weather from 1966. Remember 1966 well. Back to back weekend blizzards totalling 30+ inches of blowing snow. Met my wife right after the 2nd. I think there was 8 -10 inches near the University, a bit higher than downtown Cincy. People abandoned cars in the streets. Too poor to own a car, I was walking. Thanks for that link. I’ve looked for something such as this a couple of times but just flat out missed it. Stay safe, those of you back there (now from WA State). Why does NOAA use the 20th century average on their monthly SOT while UAH uses the 30 year normal? Why do both reports omit the actual baseline? The baseline doesn’t matter for ranking the years within a dataset. The satellite record is short, so can only use data since 1979, thus the 30-year baseline. The long-term record extending back to 1900 (or so) can use a longer-term baseline. Only if you want to directly compare the same year’s anomaly values between the 2 datasets would you need to use the same baseline…but that would just be a single number you can add to make them comparable. The World Meteorological Organization (WMO) recommends using the 30 normal (currently 1981 to 2010) as the baseline period for day-to-day weather and climate comparisons. The NCDC SOT report is not following the WMOs guidelines. You need to use 60-year moving averages to get the true picture, because of the superimposed 60 year cycle. When you do this, the warming rate has been calculated as 0.06C/decade a hundred years ago and it now less at just under 0.05C/decade. The “coincidences” issue proves beyond reasonably doubt that greenhouse concepts are false. See this comment. That message hasn’t changed in about 1000 repetitions. Do you think hammering away will make a difference? So Roy, how about you do the best graph you can based on whatever data you think reliable in the last 150 years or so, and plot the 60-year moving average. This shows about 1 degree in about 200 years. When you can do physics right then the graph might mean something. Just because you can draw something, does not mean what you show is ‘right’. The interesting thing to my mind is how different the figures would look if a different base period was chosen instead of the current one. Just after the end of the reference period chosen, there is a big step change in the data. I realise that this was not part of the consideration for the choice. However if fate had caused the satellites to be 3-4 years later, then the base period would be very different and the figures likewise. It seems to me that NOAA’s NCDC is using the 20th century average instead of the 30 normal is because the 20th average makes the warming appear more extreme. The various reference periods in all the series are all fairly close together and quite recent because that is the way the data, timings and methodology stacks up. Not some great, fast , conspiracy theory. I wanted to check the air temperature tonight and was measuring the temperature of the fence opposite with my IR thermometer to see if it was below zero. Normally the air doesn’t radiate so you can approximately measure the air temperature using a fence. I was measuring through the exhaust gasses which were coming from my oil fired boiler and I found I was measuring the temperature of the boiler exhaust gasses. What is it in the transparent exhaust gasses that I am measuring the temperature of? Water vapour? Carbon? Did you open the window? I’d vote for water vapour. Put your hand in the exhaust and it’ll get wet. IR thermometers are filtered to look only in the “atmospheric window” region of the spectrum. Go out some nights and point it straight up. On cloudy nights it’ll be much warmer, and the temperature will be based upon the ground-based air temperature and the height of the clouds (being affected by the -6C lapse rate with altitude). Your furnace’s water vapor (and clouds) are physical “black body” radiators, so the IR thermometer sees them. I’m curious as to how your able to take that measurement without standing on your roof. It would be incredibly dangerous for an oil fired boiler exhaust to be located below the roofline. It’s this boiler it goes in the house wall. Most IR thermometers tend to “see” mostly 8-14 um, which includes absorption (and accordingly thermal emission) wavelengths of H2O and CO2. However, with the concentration of these gases usually present in air, IR thermometers can usually “see” through some reasonable distance of air (at least a few meters) and read fairly accurately. But furnace exhaust has a lot more water vapor and especially CO2 than usual atmospheric air has. Also, I think your furnace exhaust plume is partially transparent at the wavelengths “seen” by your IR thermometer, which means the center of your exhaust plume is almost certainly much hotter than your IR thermometer reads. 815 m is commonly referred to as LWIR (Long Wave IR). FLIR cameras used by the military and police operate in that part of the spectrum and they can see for 1000s of yards. They do so for a good reason the atmospheric window is fairly clear down to about 14 m. CO2 and water vapor absorb poorly in that region with one exception condensed water aka clouds and ice crystals. Another reason is that objects at room temperature emit strongly in the LIRW spectrum. Atmospheric transmittance plots are all over the internet, CO2 closes the window around 14 m.
They’re not true blackbodies at all – nothing like it. Climatologists are brain-washed into thinking that radiation determines a planet’s surface temperature, and they think the surface is also a black or grey body. Pathetic physics, really. No it isn’t! The truth lies elsewhere. Believe me. Roy is right, not you. What. No reply? Shout but not listen, huh? The boiler has just been serviced. There is a wall opposite which gets sooty if it’s out of tune. I checked out the picture I havent seen oil fired boiler vented out the side of a house in a long time. What I do remember was the side of that house was stained with soot deposits. Hope you own a good CO detector. Yep. Android post vs. Windows post. Interesting. Any type of extreme weather is wonderful for all dedicated disciples of CAGW and they will use this (listen to NPR the next few days) heavy snowfall as proof of “weather weirding” and imminent doom if we do not stop all carbon emissions. It does not matter if it is snow, rain, drought, cold or heat as long as it is extreme it will work for the agenda! Even though the IPCC 3rd Assessment said that “Milder winter temperatures will decrease heavy snowstorms”? And the US has been getting slammed with heavy snowstorms in various places for the last couple of winters. Today there is snow on the ground in at least 49 states. Just tiny bits in W FL and NE Texas according to NOAA. Not sure about Hawaii. And with this going on we have the Team of Romm, Mann, and Trenberth out there making sure they assure everyone that big snow storms don’t disprove AGW. There anything that could happen that would falsify the AGW/man cause climate change hypothesis for those people and their disciples? If this 2 feet of snow for D.C. & Baltimore pans out, they will be ahead of Rochester and Binghamton for total snowfall this winter…and about tied with Buffalo. Of the major Western and Central NY cities, only Syracuse has had enough snow that D.C. won’t have a good chance of surpassing it. What is the relevance of how many people are going to get snow? What’s relevant is what percentage of the world is warmer or colder than average. About 97-99% of the Earth’s surface is as warm, warmer or much hotter than average. Only a small geographical area is currently cold. Quite Correct. SO WHAT! Yes it’s called a storm – a snow storm. THIS IS not Global Warming or Climate Change no happening – Climate Change is a global change in the global climate regime that from NH to SH. These are a handful of red necked American climate deniers banging their gums and wringing their hands over a bit of snow and using it as a support for climate denial confirmation bias. 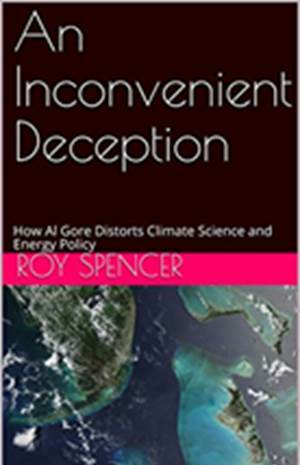 I have just read a revealing paper on Christy’s & Spencer’s UAH product – a CLIMATE MODEL in itself with many flaws and defective conclusions about the REAL state of global warming. Aka Titley’s testimony in Senate hearing. Should I say? “How to NOT get elected for President” It went over like a lead balloon. Ross…all you need to know about the document is that it was written in part by 3 uber alarmists: Kevin Trenberth, Gavin Schmidt (a mathematician who programs models), and William Connolley (a computer programmer who programs climate models). Not one has expertise in MSU or AMSU telemetry and this paper is a snow job on sat data. The paper is dated 2009, the year the Climategate email scandal was revealed. In the emails, Trenberth laments that the warming has stopped and that it’s a travesty that no one knows why. He went on to formulate a theory that the missing heat is being stored in the oceans. 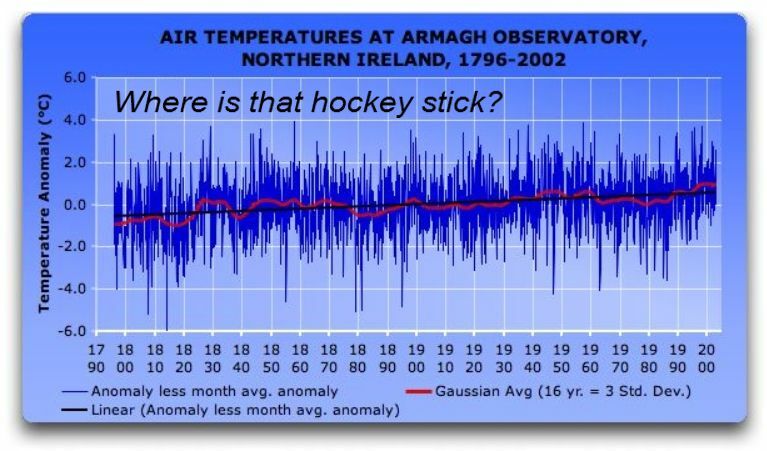 Schmidt, with Climategater Michael (Hockey Stick) Mann, run the uber alarmist site realclimate. Connolley’s claim to fame was riding shotgun on global warming skeptics as an editor on Wikipedia, until her went too far and they got rid of him for a while. The paper claims unprecedented warming in 2009 even though in secret Trenberth admitted it had stopped. In the 2012 review, the IPCC confirmed that no warming trend has been detected since 1998. Therefore, as they wrote the paper, they had to know they were not reporting the facts. 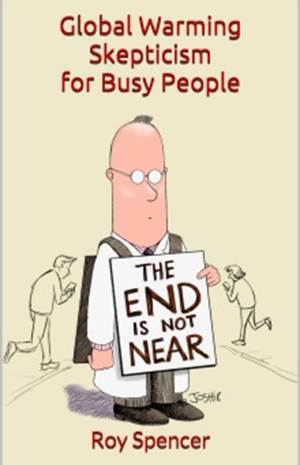 Trenberth has been a coordinating lead author at IPCC reviews and he has considerable clout. In the emails, Phil Jones of Hadcrut, Trenberth’s partner at the reviews, bragged that he and Kevin would see to it that certain skeptical papers would not make through the IPCC review process. Apparently one of the papers they tried to block was one by John Christy of UAH. You can regard the paper by Trenberth et al as the piece of garbage it is. Hi Robert, In fairness what do really think Christy’s & Spencer’s UAH data is then. It is a model also. Snow job. I’m afraid I cannot accept that at all. Multiple lines of evidence do support that the earth is moderately heating up. We cannot draw global warmings conclusions at all from just one mathematical equation aka Christy & Spencer. The surface datasets are corrupted and therefor unreliable, having uncertainties on the order of half a degree. The “keepers” of the surface datasets ignore the siteing problems and the spurious warming trends that are thus introduced into the record. Plus, the SST is the most uncertain of all, with changes from buckets to intakes, lack of control. UAH temperature datasets avoid such problems and therefore is mortem reliable. The two satellite datasets, RSS and UAH, agree very closely, thus confirming each other. Ross you obviously must believe that the radiosondes are flawed as they track extremely well with UAH and RSS, and far from well with the much adjusted surface temperature record. Tell me how do GISS and HACRUT compare with the USNCR network. All instrumentation is a model. Period. The satellites model down. The thermometers model up. The GCMs do their own thing. Digital (in fact any digitalisation) works like that. I think his name is Gordon Robertson. Yes, good summary Gordon. Thanks for the correction Mack. Sorry I just do not get how all can say they are all corrupted alternative measurements. Even Roy Spencer would not agree with this. Yet Roy sits on the side lines and allows these comments to stand. How can you call this objective science? This is plain Dunning Kruger rhetoric from many bloggers here. I have read the majority of science papers and disagree very strongly with Christy’s and Spencer’s numeric results. You cannot just use one line of evidence that flies in the face of so many other observations and measurements. Their algorithms are NOT in sync with the current evidence and trends. And those are NOT models. The global warming that is weakly implied is from a questionable set of calculations and algorithms. Derived from COMPUTERISED coding by Christy & Spencer. They ARE NOT DIRECT satellite measurements or numerics but pass through many formulas resulting a given output. As Titley clearly stated to the Senate committee (Dec 2015) – it is NOT rocket science – it’s MORE then rocket science. A complicated metholodolgy that could well be proven over time to give (via the UAH data sets) a false of sense of security to policy makers in Washington that there is nothing to worry about. Anyone who is a Systems Analyst in software engineering can clearly punch through the rhetoric of Christy and see that the UAH data maybe not be correct in its weaker warming results. Alternative lines of OBJECTIVE measurements contradict their assertion that their climate modelling can never be questioned. They both know this. They also well know that corrected revisionism of their code increases the warming TRENDS in their own data! And I’ll make this bold prediction as consequence of reading the papers challenging the UAH data sets. The UAH data sets will crumble within two years as the earth dramatically goes through yet another warming surge. Sorry but Climate denials like this just will not cut it into the future. And so it begins – the devolution of the Republican and Democrat debate reforms itself into unity of purpose. May that day come sooner then later. Sorry America – the world is watching you for leadership on this issue. Sorry I meant Gordon not Robert earlier. Gosh Ross, that little snow storm really has you upset, huh? Ross, you apparently don’t understand the difference between science and bald assertions as your comment is none of the former all the latter. You seem to have no familiarity with the issues of science. Sorry to have to point this out to you. mpainter makes very good sense with his comment. Once a person joins the cult of CAGW they become biased and the “dark side” of emotion clouds their logical circuits. A lot of people in the CAGW movement are on a mission to save the Earth from disaster and this deep emotional content of being Earth’s saviors taints all the science (proposing a hypothesis, gathering data to support or reject the hypothesis and if the evidence supports it then it becomes a theory). Roy has posted how the vast majority of CAGW climate models have no predictability (which is what the fear is based upon). Outside hypothetical forcings, that do not seem to have any validity in the real world climate, the actual increase in temperature from Carbon Dioxide emissions is not much to worry about. The climate issue is now a political one not a scientific one that will be weighed by actual evidence. Two sides to the issue Conservative vs Liberal view and both sides will select and present only data that supports their viewpoint and consider the opposing view anti-science. Since it is a political issue I like to read both this blog and Skeptical Science to achieve a balance to the force of political agendas. Given that you use the comprehensive “all” you no doubt consider that you are uniquely objective and don’t suffer cognitive bias or illusory superiority ideas. Perhaps you can then enlighten us on a question put to David Appell and I copy that comment for you. “If you mean that after Karlizing, krigging, infilling, homogenizing, pasteurizing and baptizing that NOAA/GISS T changes are somehow a better guide then it is a risible proposition. Almost a year ago I asked you for your comments on two very very different Ts of two stations within 8km of each other in Perth (West Australia). I show you a similar divergence for yesterday, Jan 7th, 2016. Swanbourne (a suburb of Perth within 8km of the CBD, 16m height difference): (NB I have removed the site data referral as it would only give the last three days data). Swanbourne peaked at 11.30am recording 39.2C, was down by 2pm to 29.5C . By 11 pm it was 25.7C. So it diverged by more than 11C and maintained a high difference throughout the day. So what was Perths avg T for the day? What does it say about the credibility that GISS projections of T within 1200km is appropriate? At least UAH correlates well when compared to RSS, radiosondes and the US pristine database. What does GISS correlate with? Pigs about to fly, perhaps? In case you hadn’t noticed, AGW and CAGW are not about climate or the earth but about political control. If you would do a little research in the climate history, the current uproar over 30 to 100 years of records and record heat would be put in proper perspective. It is not simply because doing so would ruin the propaganda program. Stop the trucks from delivering groceries to the warehouses and let them eat cake. 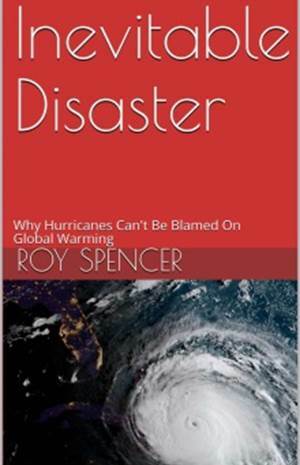 Because it is almost certain (but not 100%) that the huge snowstorm will be used as proof of climate change and weather weirding by the faithful in the cult of CAGW, I post this link to nip it in the bud before it has a chance to blossom into full fledge lunacy! David Appell if you are around please read the link. Thanks. You are not allowed to quote famous people, apparently. Thank you for the link. Assuming negative NOA and El Nino conspire to create massive storms in the continental US the CAGW crowd can always fall back on well the “warm” high pressure zones have more energy because of CAGW and the most recent storm will little doubt prove more massive than any before it even if we lack comprehensive information to prove it. Still the link provided an interesting analysis. I ride a motorcycle year round. It isn’t unusual to see temperatures 1-15 degrees difference within a 50 mile radius. I live in the Pee Dee area of South Carolina. The temperature difference is not because of elevation changes I assure you. If the data is manipulated to remove the temperature difference, THAT is spurious manipulation. Weather happens, the data should be accepted as is. If you aren’t in the area when the WEATHER happens, how can you change it to suite what you think it should have been? Science consists of the facts and laws of nature. To complain that science has no mysteries seems strange since obviously the facts and laws of nature will only seem strange to those ignorant of them. Moreover, there remains many unexplained phenomenon in nature so to shut ones eyes to them seems absurd. For example, how does a butterfly obtain a completely different DNA pattern during metamorphosis than the caterpillar that preceded it? Many attempt to explain the ubiquitous mysteries around us by curt bromides or appeals to some theory ultimately fail to clarify. I agree with you many mysteries remain. Such as why Conan Doyle believed in wee little Fairy folk? Why did Thomas Aquinas supposedly believe in the philosopher’s stone (it would be funny if it ever turned up somewhere)? Why Aristotle believed women had either fewer or more teeth (I forget)? Or why David Appell and others appear to believe that a .2 w/m^2 per decade increase in CO2 emissions poses a dire threat to planetary survival? Btw, I appreciate Sir Arthur Conan Doyle as you seem to and his literary attempts to bring deductive reasoning to forensics and resolving mysteries. It should be remembered that if one digs deep enough everyone likely carries some ill-thought out concept in their mind that helps them perhaps only psychologically in some way face the challenges of existence but ultimately may itself bear little relation to reality. It need not take away from their accomplishments, which in Conan Doyle’s case and others stood the test of time. His books are still read! It should be remembered that if one digs deep enough most everyone likely carries some ill-thought out concept in their mind that helps them perhaps only psychologically in some way face the challenges of existence but ultimately may itself bear little relation to reality. The reality is that the globe is warming. 2015 was the warmest year on record. The oceans are becoming more acidic. You can deny the above, and that is your right if it helps you “face the challenges of existence” in a psychological sense. I understand this. We all understand this. And we don’t blame you and your fellow travellers (Moe and Larry). DEC, you have a bad case of the alarmist knee jerk. I advise you to see a doctor and get some help, lest some day your lower leg pops off at the knee and flies out the window. Is this a medical forum? The answer is yes; on occasion. Many who attend here have psychological imparities and some others, kindly souls, try to help them overcome their addictions and visions using various tactics from rational thinking to the more mundane verbal abuse. Well, off to ride around in the snow storm. And a Good day to you sir. I agree with you wholeheartedly. Could not have said it better. In a public place utterances that suggest an identifiable person is mentally defective or suffering from another mental condition could be considered actionable. Not by me. I know it doesn’t apply to me. I can get a doctors note to prove it if you like (and pay for it). When haven’t they? Don’t glaciers always melt at some point during the year. Should the Arctic ice sheat dwindle some nice oil and gas deposits become economically feasible. You should head to the Antarctic it may last a little longer but who knows when it will disappear. What exactly do you all understand? Oh! You must mean your theory than animal life en-tombed in ice likely died of a heat-stroke! Good to see your on top of things! Nyuk! Nyuk! Nyuk! So the IPCC is wrong, is that your inference? What is it about warming hiatus you don’t understand, Moe? Don’t try and tell me that long term global warming has stopped. Or are you going to still cling to that straw? To the wonderful DEC, David and Ross what a fine trio of brainwashed warmers you are. You show up, attack our host and proceed to put all of us “deniers” in our place. Yes I know i’m just and old curmudgeon, set in my ways. I was fooled in the days of my youth by “Global Cooling”, the Population bomb,”Peak Oil”, Acid Rain and of course “Ozone Depletion”. But the world got warmer, we didn’t all starve, there’s still lots of oil the frogs are still living and the ozone hole wasn’t caused at all. If none of these things predicted by “scientists” came true in the past, why on earth should I believe three pinheads like you now? I was in eastern Washington driving south, the morning Mt St Helens blew. The ash cloud was pretty frickin’ awesome. After seeing that I’m not the least bit concerned by the amount of CO2 we are releasing into the atmosphere. So don’t go away mad, just go away. Did anyone post comments earlier today between 4:45 and 5:15 PST? Are they still there? With those two devastating comebacks from the elite of the blog, I’m truly crushed, really I am. It really brought a tear to my eye from ROTFLMAO, “Thanks” I needed that! I believe I lost some posts on another thread at around that time but they were not significant. A couple of questions that have been puzzling me. 1. Snow, ice, etc. Where does the latent heat (as opposed to sensible heat) for the water/ice/vapour interfaces show up in the Air temperature figures? Thermometer as well as Satellite. There is a large amount of energy there with no temperature change required. How is it accounted for if we are trying to do power/energy calculations on the GAT figures? 2. The Boundary Layer problem. It is well known that a surface boundary layer exists within which the thermometers lie. It is my assertion that they better sample that sub-slice of the atmosphere with the Satellite seeing 3000+ meters better. Thoughts?
. Beauty tips dark circles under eyes This will need less than 15 seconds and also you will feel much better. One should do a little research and judge an ad company which offers both reasonable prices as well as a good return on investment. because worst time to please take a picture of any woman. ï»¿In the long run, India will make notable contributions to your global economy improvement. including a significant age gap. sources (flashlights, external flash units, you camera’s built-in flash, flood light, etc. Look for the peptide formula which halts trans-epidermal water loss generally known as TEWL. It can enable you to maintain an even more favorable body weight at the same time. pelvic floor. The dosages of fructose required to produce negative effects are quite high.